Your routine is no different from the other guys in the gym, right? Every training session is all about the chest, arms and legs. Falling into this routine is all too common for serious lifters and bodybuilders but your back needs love too. The fact of the matter is, a strong back not only improves your appearance by helping you achieve that “V”shaped physique, it also greatly improves posture and helps with your other lifts – including the bench press! In order to target and strengthen the back, you must perform exercises that challenge those muscles effectively. The muscles to hone in on include the trapezius (traps), deltoideus (delts), and latissimus dorsi (lats). The traps, which build up into your shoulders to the base of your skull and then down your middle lower back, are responsible for movement as well as rotation. In addition to that, they stabilize the shoulder blades. The deltoideus is a triangular shaped muscle located in the upper arm/shoulder area. It benefits lifts by enabling the arms to have a wide range of motion. They are responsible for contraction, rotation and abduction of the arms. The primary function of the latissimus dorsi, an often underused muscle located in the mid to lower portion of the back, is abduction of the arms. Since these muscles are essential to the way the body moves, they must be trained regularly. Fortunately there is an array of exercises and techniques that can be used to effectively target all areas of your back. Here are some of the exercises that will help build your back and give you that v-tapered, three-dimensional look you’re after. Overview: During each rep, focus on a slow contraction of the lats. To target the lats more effectively, pause at the top of the movement and then release in a downward motion while maintaining control of the weight. If technique is compromised, lower the weight. With the other exercises below you can be more forceful and less focused on slow, controlled movements. 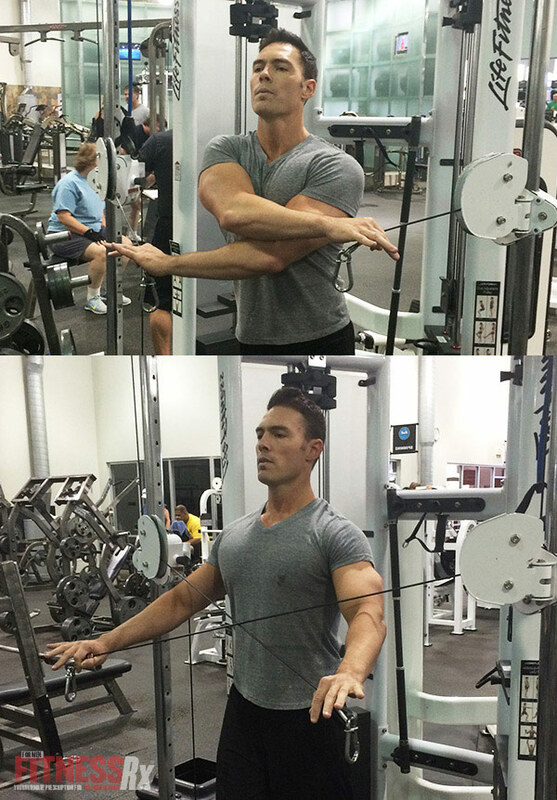 Overview: On the pulling motion, face up while sitting and focus on bringing the bar close to your chest while squeezing your delts and traps. After you complete a set of pulldowns, quickly transition to the dumbbell bent-over flye. 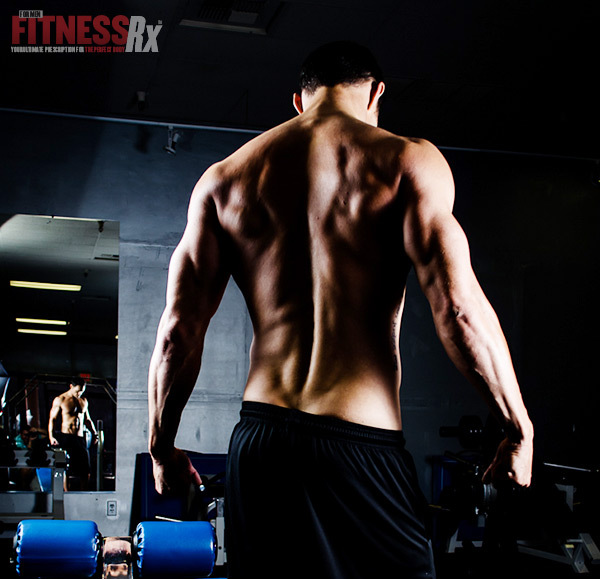 This will independently work each side of your back and make sure that each area is getting a full pump. With this dynamic duo your back is going to be engorged with blood upon completion. Overview: Prior exercises have focused efforts on the upper back – for this movement, keep the cable low to isolate the lower back. Clear your mind and focus on the muscles as you work out. It is all about the mind muscle connection. Overview: Feel each pull as your back swells up and maximize the stretch. Stay in control of each motion and concentrate. Speed combined with any maneuver involving cables will result in poor technique and significantly increase the chance of injury. For the last set, complete you 10 reps then immediately drop the weight down by 10 pounds. Bang out as many reps as you can before reaching failure – then drop the weight by 10 pounds one more time for the final drop set to failure. Don’t pause between drop sets, move quickly dropping the weight then back at it. This works well with a workout partner who can drop the weight for you, limiting the time between drop sets.